White countertop with complete wood theme can surely make this kitchen elegant. Notice the creative backsplash tiling too that looks lovely in the kitchen area. 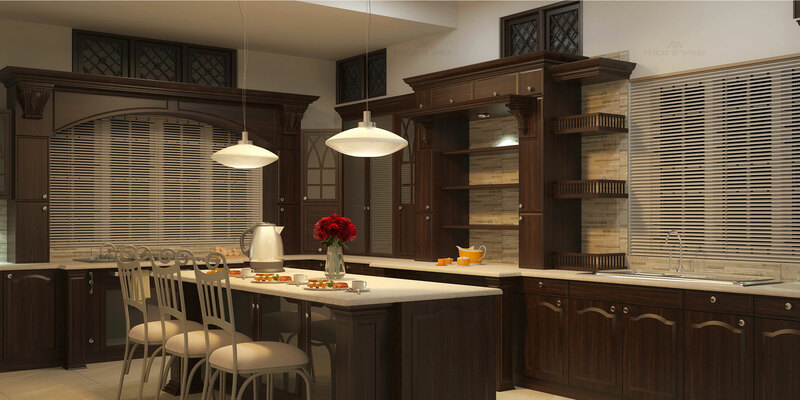 A complete look is given with the matching wood work and glass for cabinets.